Recently some friends came to New York and we had a girls weekend. 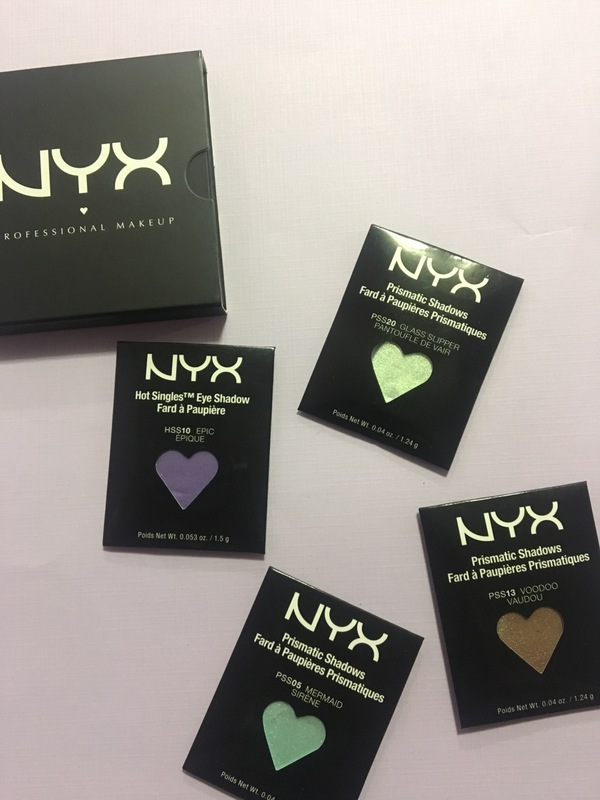 We stopped by the NYX store and I wasn’t going to buy anything but we all ended up getting a palette. It was a really good deal for the mini one, which hold four shadows. All together it came out to $13. That is super cheap. 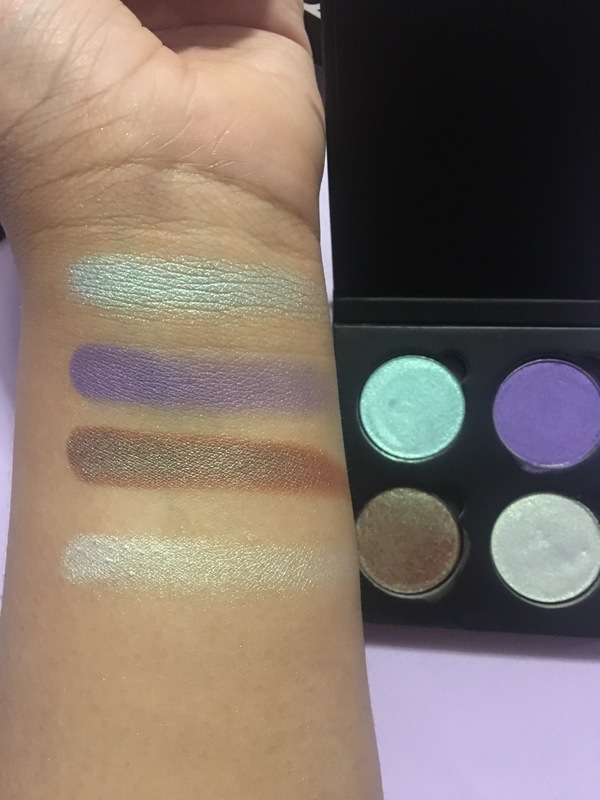 The single shadows are $4 each and the empty palette is $5. That comes out to $21 and with the deal it’s $12 and $13.08 with tax. Now that is a really good deal. Will probably get this when I go next time or maybe get the bigger pan. That one holds 9. I’ll get into the colors and swatches. Lots of shiny! 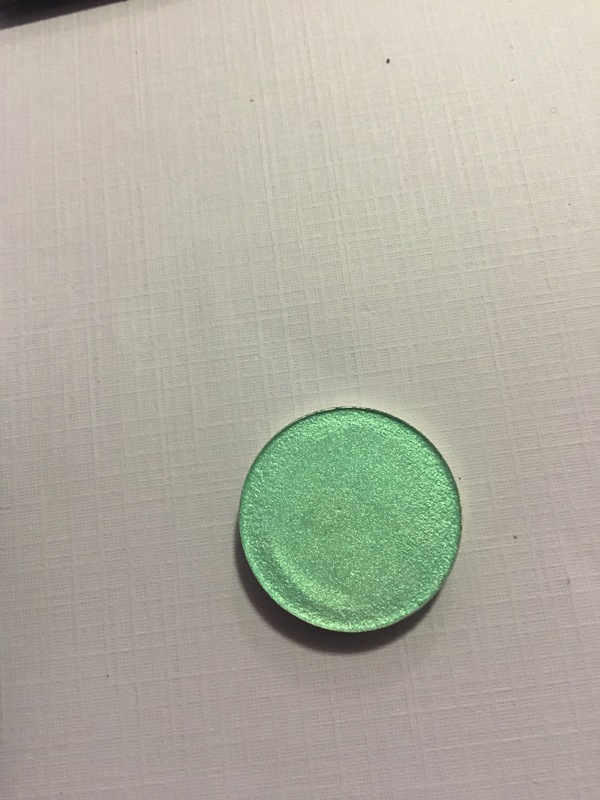 Mermaid is such a beautiful sea green color. It’s a nice duo chrome shade. 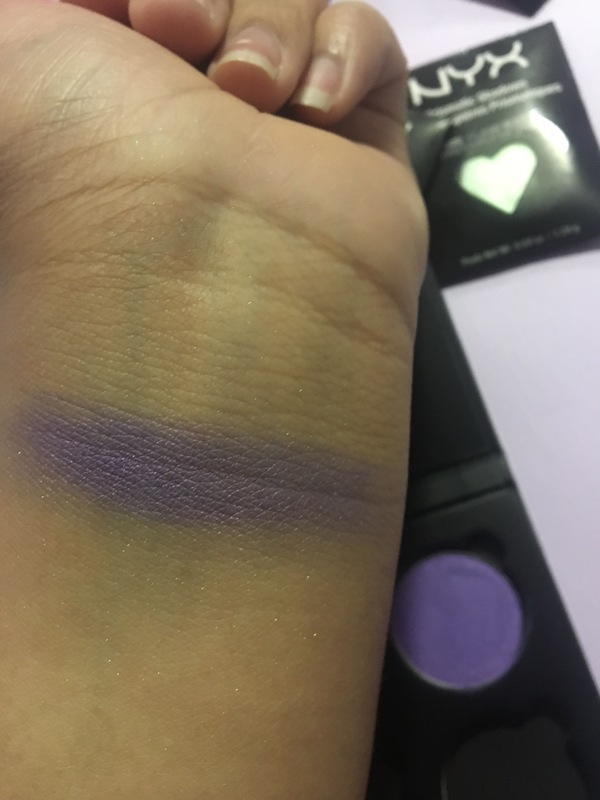 Epic is a matte deep purple. 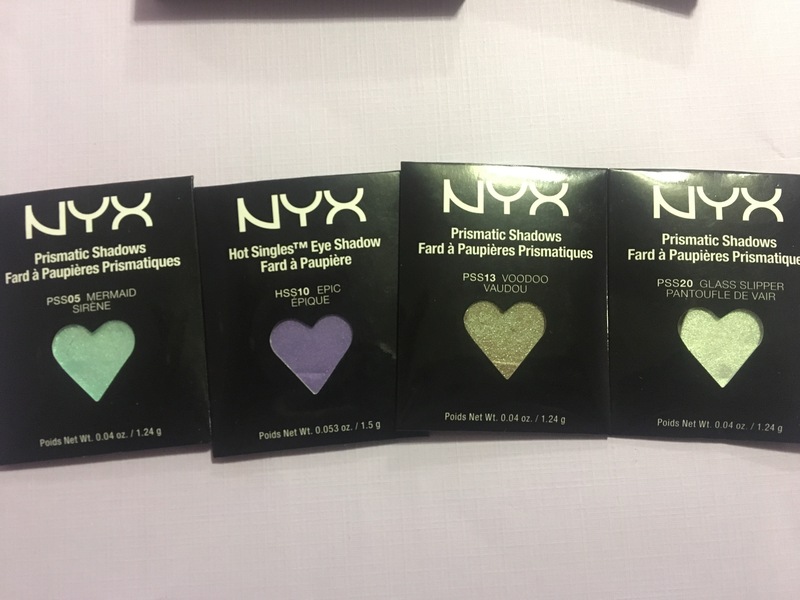 They had some pretty purples and shades that we wanted but they only came in the singles and not the pro shades. 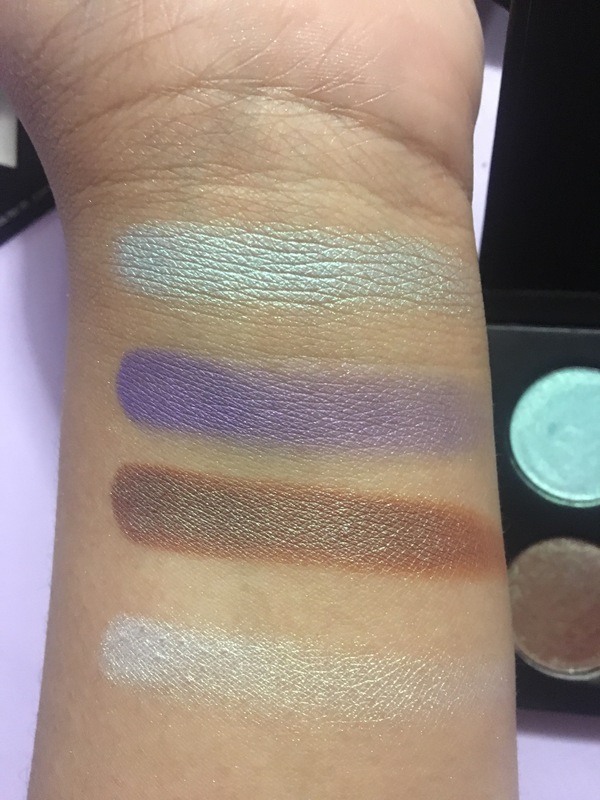 I tried a million different purples and they were really chalky or streaky. This was the best one I could find. 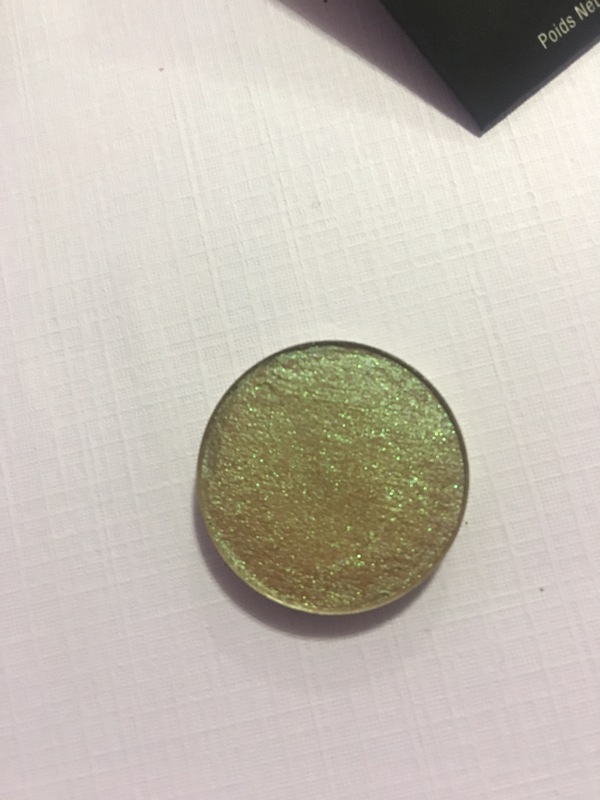 Voodoo is a brown with a green duo chrome. 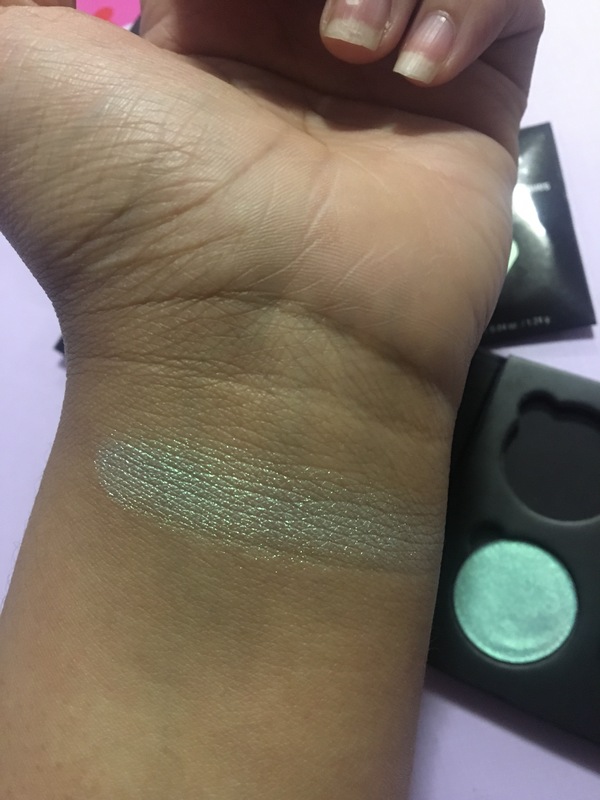 I just had to get this shade. It’s so beautiful and the green shift looks amazing. 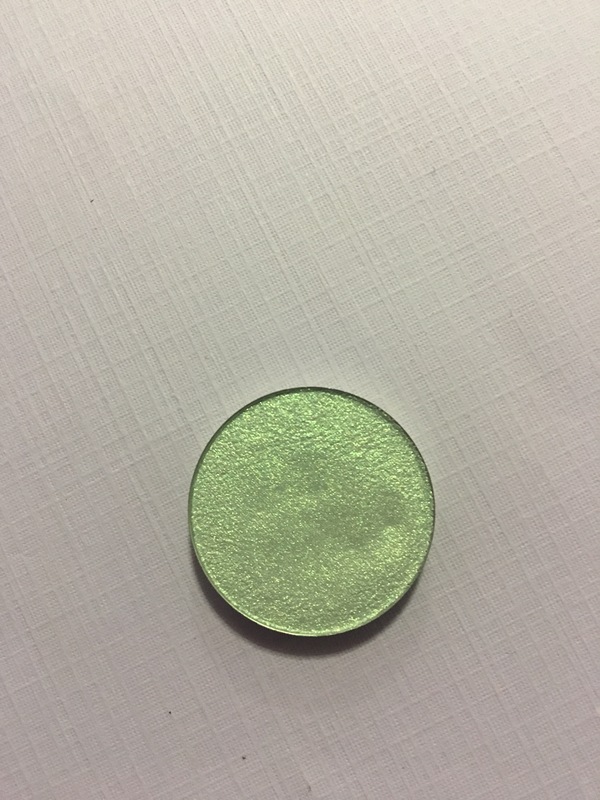 Glass Slipper is another beautiful green duo chrome. 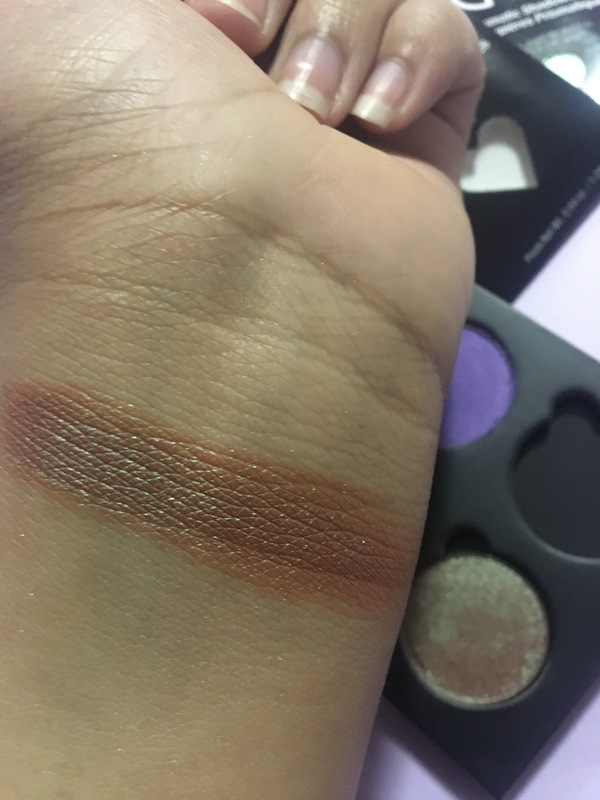 This shade is so beautiful. It’s super hard to capture on camera. 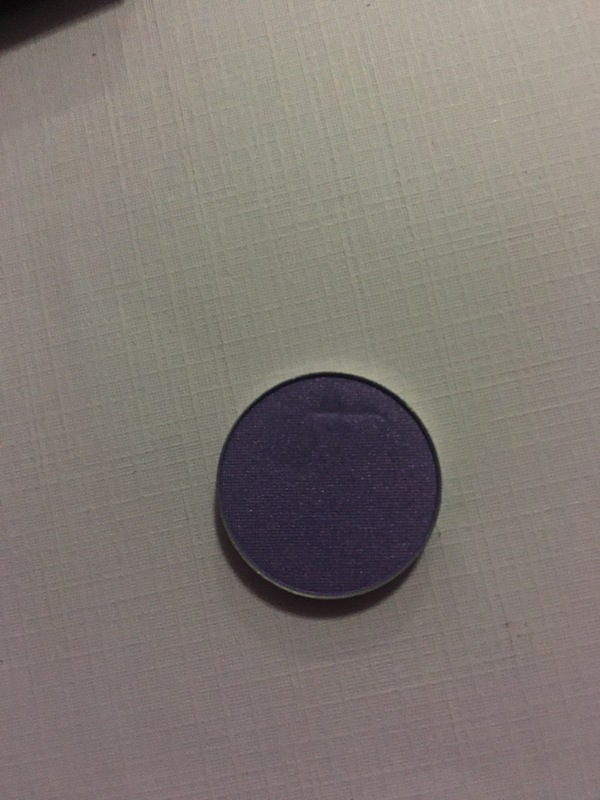 All of us ended up getting this shade because it’s so pretty. It literally looks like fairy tales. I was really happy with the shades I chose. A lot of green and duo chrome shades. I just hope when we go back they have more of the shades I want in the pro singles. Hope this helped you guys out! 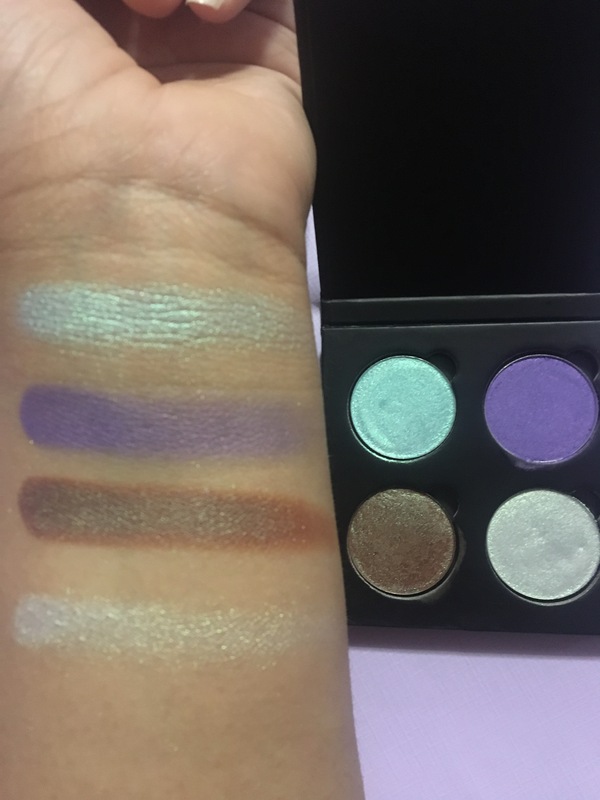 The shadows are amazing, no fall out and super pigmented. Any other questions feel free to ask. Thanks so much for reading and stay purple. This entry was tagged beauty, custom mini palette, epic single shadow, glass slipper single shadow, makeup, mermaid single shadow, nyx Cosmetics, pro singles, voodoo single shadow. Bookmark the permalink. 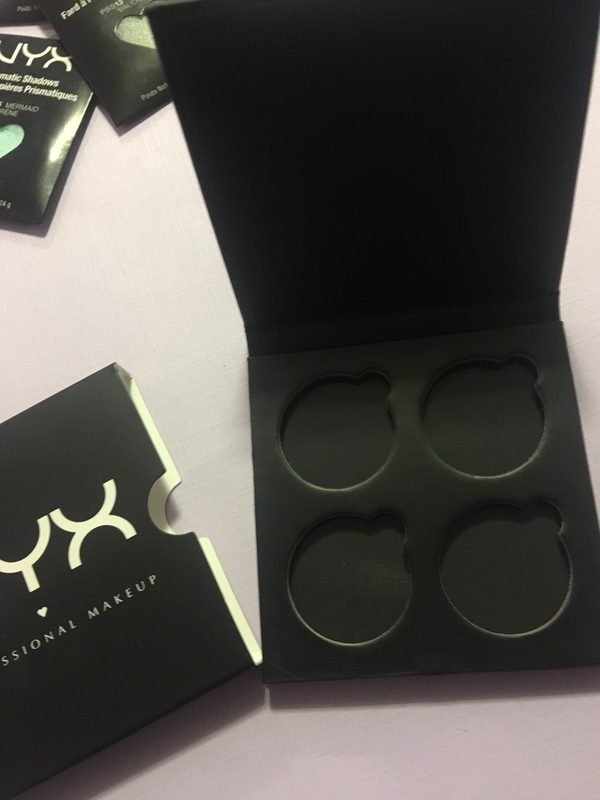 I’ll have to give NYX another chance then! 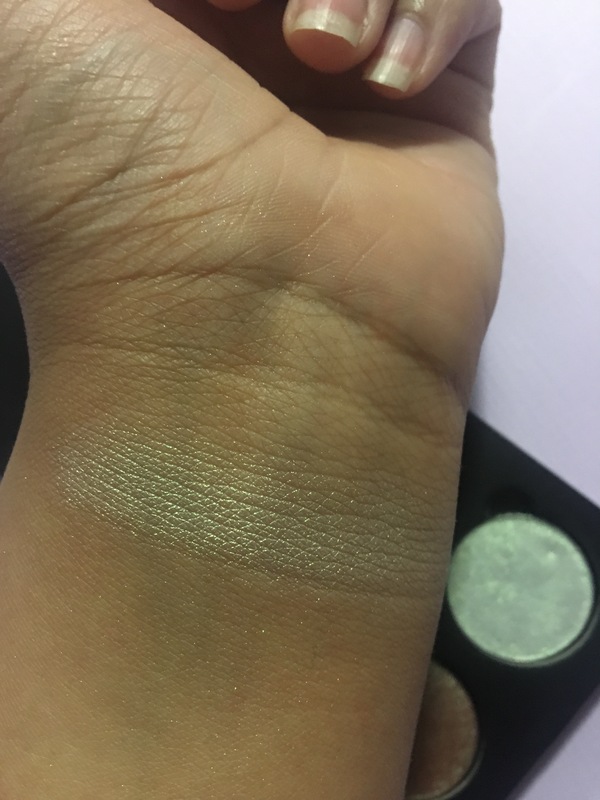 In the past, I found that the colors didn’t remain true when I applied them on my skin (I know from experience that it has to do with both the quality and intensity of the pigment). Having said that, I’m always looking for an excuse to try makeup, lol.